As sometimes happens, my latest interview, with Diane McKinney-Whetstone, ended on a thought-provoking note. We were discussing differences as exemplified in her new novel, Lazaretto, and the importance of respecting others who are unlike ourselves—indeed, respecting them because they are unlike ourselves. At its heart, Lazaretto explores the complexity of race—itself a social, not a scientific construct—and of racial definitions in the United States. Slavery has ended with the Civil War, but late nineteenth-century Philadelphia is still a world where black lives matter less than white ones, where immigrants are feared as harbingers of disease and quarantined to protect the city that does not quite welcome them. The issues are as fresh as yesterday’s headlines, as the current political campaign. Human beings seem to have an innate tendency to settle on insignificant differences that then become the basis for dominance games. We believe that familiarity means sameness, and that sameness will keep us safe. But in nature, sameness brings death. A population that shrinks in size to the point where it becomes inbred falls victim to birth defects or disease. When the French grapevines failed, almost destroying the wine industry, the solution lay in importing vines from California that could resist the blight and grafting the French stock onto them. In diversity lies strength. So it makes no sense to fear the other simply because he or she comes from somewhere else or does not look like us in some superficial way. That difference may one day be exactly what we need. A hundred years before Ellis Island became a processing center for immigrants wishing to enter the United States, Philadelphia had the Lazaretto, a quarantine hospital where every ship entering the harbor from June to September had to stop while those aboard were checked for signs of infectious disease. In a city already known for its diversity by the mid-nineteenth century, the Lazaretto represented both openness to and fear of the outsider. 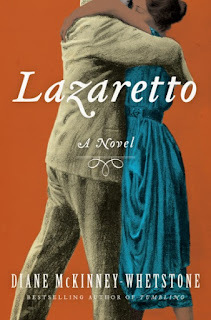 This deep ambivalence, to change and to the other, forms the heart of Lazaretto (Harper, 2016), the sparkling new novel by Diane McKinney-Whetstone, who already has five acclaimed works of fiction to her credit. The US Civil War has just ended. In the home of a well-respected midwife, a white attorney has brought his young black servant, Meda, to abort the child he has fathered on her. But the pregnancy is too far along for such a solution, and the child arrives that very night. The father takes the child, ordering the midwife to tell his servant that her daughter is dead. Distraught, Meda takes temporary refuge at a nearby orphanage as soon as she has recovered from childbirth. There she acts as a wet nurse to two newborn boys, whom she christens Bram and Lincoln after her hero, President Abraham Lincoln—assassinated on the same night as her own baby died. When she returns to her employer’s home, the boys come with her for part of every week. Meda raises them as brothers. As the boys grow older, they move back and forth between the affluent white community and the black community of Philadelphia, until a series of drastic events brings them to the Lazaretto. There old questions at last find answers. 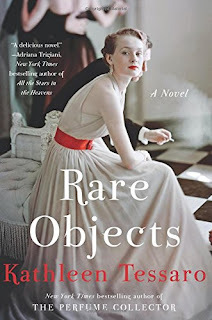 A couple of weeks ago, I posted about Rare Objects, a new novel by Katherine Tessaro set in Boston during the Great Depression. My latest interview looks at the decades before the stock market collapse of 1929. In 1914, when Olive Thomas moves from Pennsylvania to New York City, prohibition is not yet the law of the land, the theater district is thriving, and what will become the movie industry is just getting started. Europe may soon be at war, but the United States will not join the fray for several years. Meanwhile, a beautiful girl in New York finds her way from shop clerk to artist’s model to dancer with the renowned Ziegfeld Follies. From there, Hollywood beckons, and a silent movie star is born. Poor Olive had to wait yet again for her moment in the sun while I announced the release of The Swan Princess. No doubt, she would consider that par for the course. But her story is, from the beginning almost to the end, tremendous fun, and the time is long past when she should receive an Academy Award of her own. A ghost haunts the New Amsterdam Theatre, near Times Square in New York. She wears a green outfit in flapper style, and she’s just a little annoyed to realize that no one is scared of her, even though she mostly rearranges the scenery rather than clanking chains or leaping out and scaring people. Her name is Olive Thomas, and she is one of the first silent movie stars, although her early death means that she is much less famous than her sister-in-law, Mary Pickford. 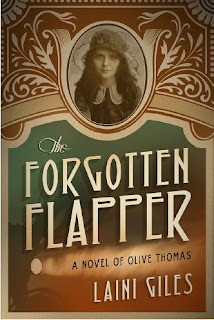 The Forgotten Flapper: A Novel of Olive Thomas (Sepia Stories, 2015) brings this forgotten actress back to life. 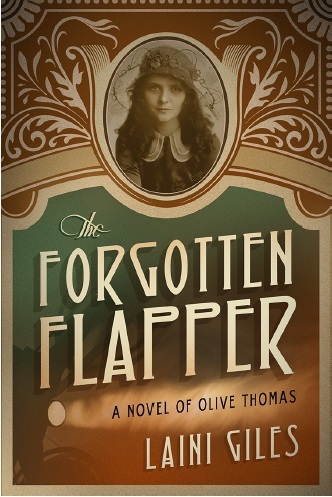 Laini Giles vividly captures both the culture of those early days when films were still called “flickers” and Olive Thomas’s complex, charming, and compelling personality. The ostrich scene alone is—dare we say it?—unforgettable. 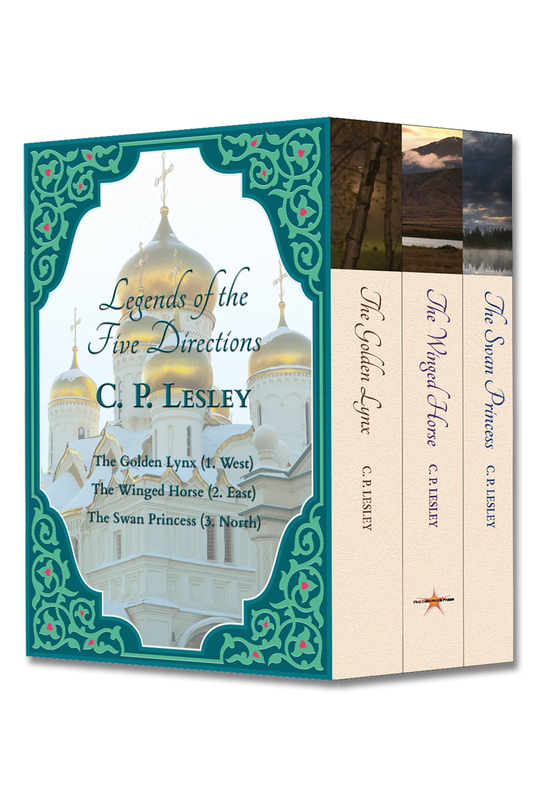 Twenty-two months after I sat down to write, Five Directions Press has released The Swan Princess (Legends 3) in print and Kindle e-book. For some reason Legends 3 gave me fits, but after a few false trails I found the story and after that, it was pure bliss to write. What made Legends 3 so tough in the beginning? Well, first off, it is the middle of the series. Middles of books are difficult, because the setup is done, but the resolution cannot begin, so authors need to find a way to sustain the momentum without resolving the major plot threads and character arcs too soon. It’s the same with a series. Then there were the characters, whom I created and love but who must be just a bit farther along their journey to maturity—although not so far that their growth seems implausible or their basic natures changed. A third factor was the Swan Princess herself: the metaphor came to me right away, but figuring out the story indicated by the legend took much longer. In what sense was Nasan a swan princess? What did she need to learn? What circumstances would teach her? How would I keep the new story separate from the old? What role would the political backdrop play in this fundamentally domestic tale? But that, after all, is what novelists do. And now that I am moving on to book 4, and the phoenix has replaced the swan as my image of choice (but book 4 is already on the down slope of the series), I am looking forward to reconnecting with another set of characters and exploring a new political story and metaphor. I hope it won’t take twenty-two months—but if it does, I expect to enjoy the journey. In the meantime, I hope you have fun with Nasan and her relatives. 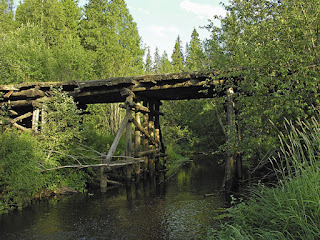 And if by chance you encounter her first here, do go back and read her earlier adventures. 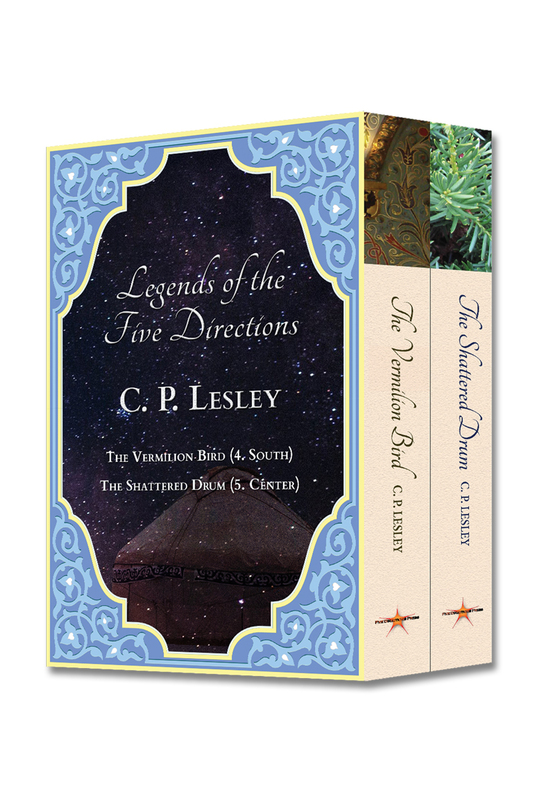 In honor of the formal launch on Friday, the e-book versions of Legends 1 and 2 will be on sale for 99 cents (US, 99p UK) from April 15 through April 17. So if you missed The Golden Lynx and The Winged Horse, this is your chance to give them a try at low cost. To find out more about Legends 3, read on. In the two years since the events that propelled Nasan Kolycheva into marriage to a Russian nobleman, life has become intolerable. 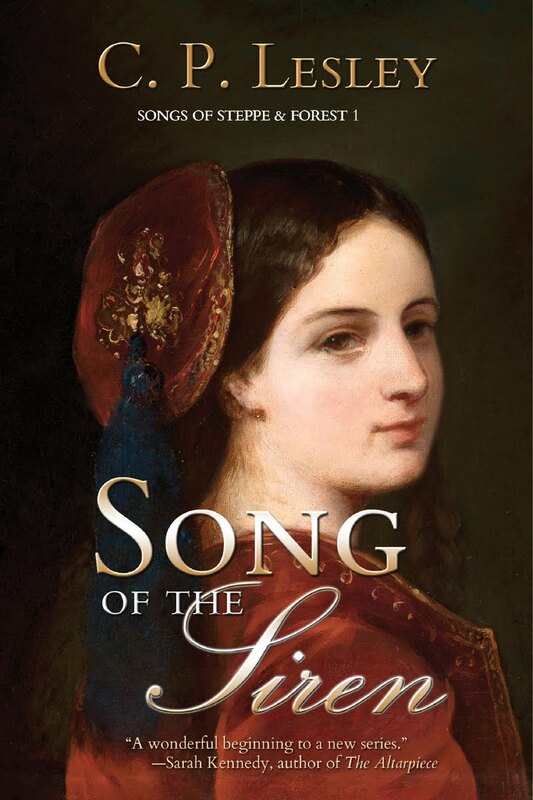 She spends every waking minute learning the skills of household management under the lash of her sister-in-law’s tongue and the cloud of her mother-in-law’s disappointment while mourning her unborn baby and pining for her husband, stationed in the western borderlands to ward off foreign invaders. When Nasan’s mother-in-law decides that a pilgrimage to a distant monastery may be the only solution for her failing heart, the journey sparks memories in Nasan of a life she has almost forgotten, where her interests and skills serve a purpose lost to her in Moscow. What can a Swan Princess do when she no longer wants to return to the nest? Before Nasan can answer that question, she encounters a once-vanquished foe determined to avenge himself on those he blames for his misfortunes—and realizes she has ridden right into his trap. Sleet stung his face. Brother Stefan tugged the rabbit-skin hat over his ears and turned up the collar of the worn fur coat—a gift to the monastery, no doubt, from some half-starved priest determined to secure prayers for his soul. 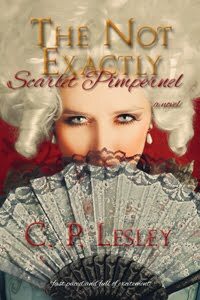 Shivering, he squinted through ice-crusted eyelashes at an oval of red topped by a semicircle of bright blue. Against the white/gray Arctic landscape, the patch of color sufficed to identify the Lapp herder guiding his rickety sleigh across the tundra. “Can’t that beast go faster?” Stefan kicked the front of the sleigh and chided himself for impatience—in vain. His demand for speed was irrational. 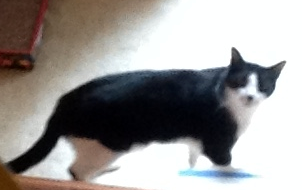 He’d secured permission for his journey. No one would follow him in this blizzard. He had nothing to fear, yet his whole body urged him to press on, beat the reindeer—or the driver—if necessary. Whatever would increase the distance between himself and that godforsaken excuse for a monastery. He’d wasted months there already. Getting out of the Arctic blast would be a blessing, but no hope of that for a few more weeks—unless this slug of a reindeer grew wings and took to the air. What a sight that would be! Off to one side, through the driving sleet, he saw a small hut raised on logs, two of its chicken feet buried up to the ankles in snow, the front two swept bare by the circling winds. It looked like the home of the witch Baba Yaga, terror of his nursery days. He shivered again—and not from the cold. How could one know, dashing past in a reindeer-drawn sleigh, whether a witch dwelled there? 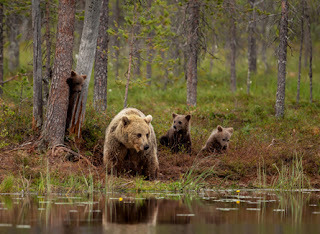 Bridge and bears play an important role in the story (bridge iStock 509320443; bears © Gledriius/Shutterstock 173103809).